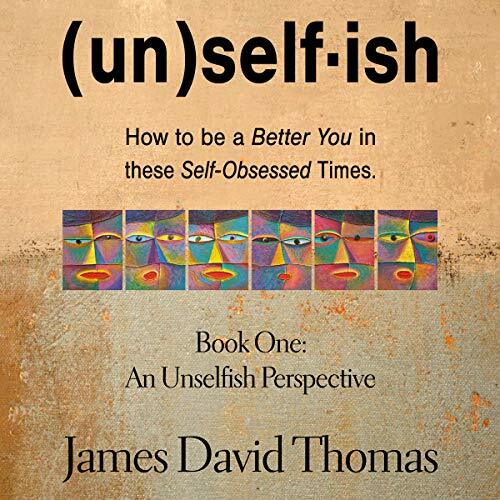 An Unselfish Perspective is a self-help book for self-help skeptics. It reveals our cultural assumptions about individuality and how these assumptions shape our perspectives and our world. It will inspire you to rethink your self-improvement goals and reimagine how to build that better you. As your listen, you will come to question your understanding of what self-knowledge is and what authenticity means. After all, our old assumptions can act as barriers in our pursuit of more meaningful and satisfying lives. An Unselfish Perspective cuts below academic theory and popular notions of identity, perception, personality, and virtue. It draws on over 100 references across psychology, sociology, philosophy, and economics to present a compelling image of our personal, public, and global challenges. An Unselfish Perspective illuminates the links between our vast challenges in this life and our cultural assumptions, sense-making metaphors, and mindsets. With assumptions revealed, new perspectives and approaches become possible for our relationships and ultimate concerns.